The Louvre has almost 10 million people visiting a year, a museum which is dedicated to informative education and the preservation of art and history for generations to come. 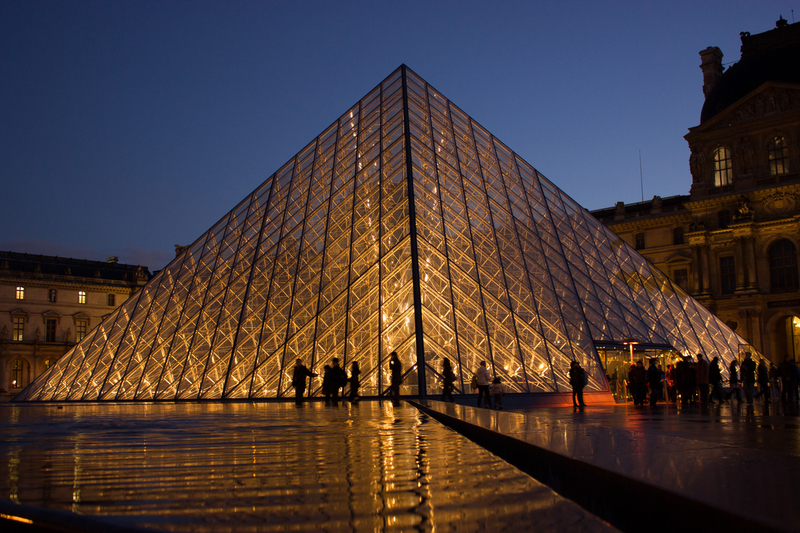 The Louvre is open daily with the exception of Tuesdays from nine am until six pm. Extended hours are until nine forty-five pm on Wednesdays and Fridays. The museum closes only three days of the year, that being January 1st, May 1st, and December 25th. Tickets may be purchased online. Jean-Luc Martinez is the director of this vast museum which extends beyond its walls out into gardens called The Tuileries. French kings have resided in the Louvre before it became a museum in 1793. Thirty five thousand pieces of artwork are displayed and some are centuries old. One in fact is over 7,000 years old. Eight departments of keeping heritage exist: Egyptian Antiquities, Roman Antiquities, Near Eastern Antiquities, Islamic Antiquities, Paintings, Sculptures, Decorative Arts, and Prints or Drawings. The Tuileries Garden which is next to the museum is the oldest garden in Paris. It is also the largest public park. Settled right in the heart of the city tours take place on Saturdays and Sundays, including public holidays beginning in April and go through October. The Arc de Triomphe is the starting point. On a special note, a new museum is set to open in the Middle East in 2015. This is called the Louvre Abu Dhabi. The French museum is contributing to the project. Louvre history begins back in the late 12th century out on the cities west side. Paris saw The Louvre begin as a fortress which later held Francois I and Louis XIV, also known as the Sun King. The fortress built on the banks of the Seine became prominent to defend this largest city in Europe known as Paris. What’s left from Medieval times is the Salle Bosse, a hall which historians are not even sure what function it may have provided. Later in the 1300’s the Louvre was transformed by Raymond du Temple, an architect for Charles V, into a royal residence. Further on into the 1500’s, the Medieval Louvre transformed into a Renaissance palace when Francois became a resident of Paris. A young king at nine years old, Louis XIII, began work fifteen years later at age 24 and it was completed by Louis XIV. This classical period would allow us to see The Louvre we see today, yet, something nearby, notably Versailles, would place this Louvre into the low interest category by royals. In 1674, Louis XIV, went to Versailles and work at the Louvre was halted. 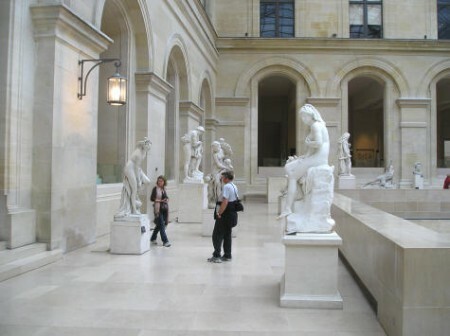 By 1699, exhibitions began to be held at The Louvre and these shows were called or known as “Salon.” Almost a hundred years later “The Museum Central des Arts” was formed. 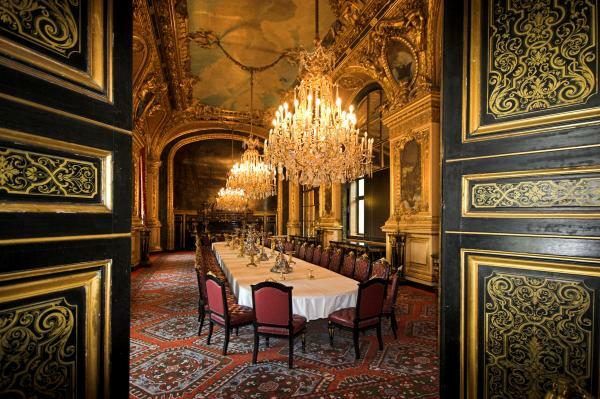 Artists, painters, and architects could view collections from royals of the French aristocrats. The general public was welcome on the weekends. For a short while Austria, Italy, and other nations had art shown there. Paintings from the Vatican and Venice were displayed, too. In 1803 it was actually called Musee` Napolean and the entrance contained a bust of the emperor. When the empire fell in 1815, the nations reclaimed their stolen treasures. Jean-Francois Champollion discovered ideas of hieroglyphics and published articles pertaining to the Rosetta Stone, housed in London at the British Museum. Jean-Francois became the museums 1st curator in the department of Egyptian Antiquities. This occurred on May 15th, 1826. He had articles published on transcribing hieroglyphics into Greek. A Spanish gallery was formed under Louis-Phillipe in 1837-1848, later these 400 paintings were sold to London. A Mexican display was created along with Algerian and other exotic crafts and folk arts. Ceilings were painted, new buildings added, extensions of existing wings, courtyards added, and a connection built for The Tuileries and The Louvre. After the Paris Commune in May 1871, The Tuileries, which were a symbol for monarchy were demolished. This marked a beginning after the end. The Louvre was re-birthed and became a cultural provision. In 1922 the 1st Islamic gallery was opened due to generosities from Baroness Delort de Gleon. During WWII the contents of The Louvre were housed at Chateau de Chambord in the Loire Valley, and also dispersed to other chateaus. The Cubist painter, Georges Braque, produced three ceiling paintings of birds in 1953. Under French President, Jacques Chirac, the tribal and aboriginal art museums were created. The Pavillion des Sessions house masterpieces from the Americas, Africa, Asia, and Oceania which opened in 2006. 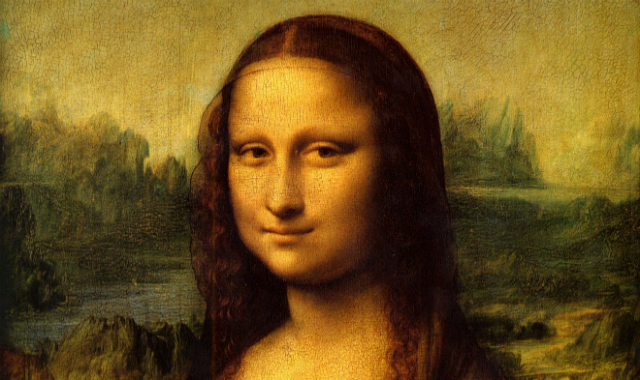 And, of course, there is the Mona Lisa.